This is the iPhone XR. It’s a little bit like the middle child of the family, not just in terms of size, but also how it’s always being overshadowed by its siblings. So for this review, let’s just ignore the iPhone XS and XS Max for a bit, and give the iPhone XR the attention that it deserves. Let’s start with design and build quality. 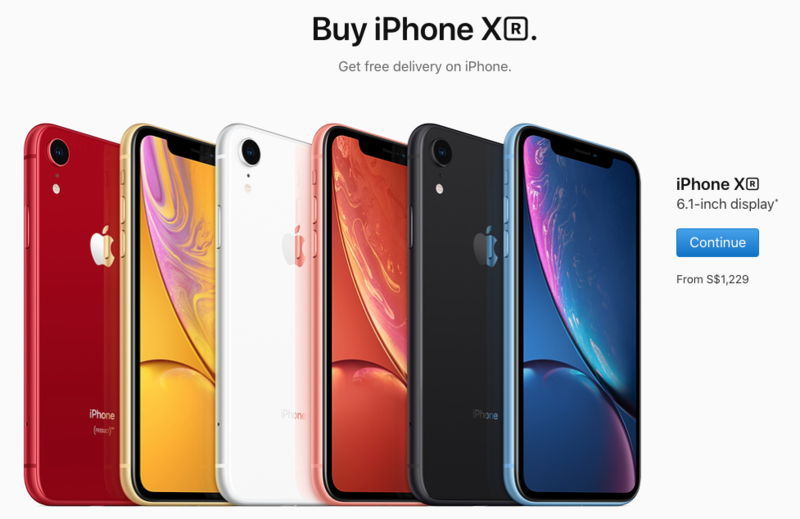 The iPhone XR uses a familiar 7000-series aluminium frame with a glass back. I actually prefer this matte finishing because it’s more scratch resistant, and it just looks cleaner. The phone feels really solid in hand, and it is still water resistant at IP67. The use of aluminium also allows Apple to produce multiple colour options, including this stunning Product RED version. I think it’s a breath of fresh air to the typically safe iPhone colour options. The front of the phone is probably where most of the controversy surrounding the iPhone XR lies. While it has the same notched display as the iPhone X, the bezels are a little thicker, it’s using LCD instead of OLED, and it has a lower pixel density. In my day to day use, I don’t really find any of those compromises to be a deal-breaker. It’s still an excellent screen as expected from Apple. The colour reproduction still looks great, and outdoor visibility is excellent as well. In regards to the pixel density, it’s actually still the same as the iPhone 8, which looks just fine to me. Because the screen is a little bigger, I’m actually holding it a little further away while using it, so I don’t really notice the pixels. While a denser panel would have been nice for the price of the phone, I don’t think it’s a major compromise. It’s probably a little late to argue about display notches, but what I can say is that Apple really makes full use of their notch. First of all, we get the TrueDepth camera for FaceID, which works better than it did on the iPhone X. It’s not only faster, but also seems more reliable. Secondly, the call speaker is now able to pump out a higher volume, which gives it a better stereo effect. It’s not the best I’ve heard, but I can tell you that it sounds better than most phones in the market today. This is where I need to talk a minor downside of this new Liquid Retina display, it does not support 3D Touch. Personally, I don’t really mind it that much, since I only use it for text editing. With iOS 12, Apple actually included a similar feature for devices without 3D Touch. It’s not quite as intuitive to use, but it works well enough. 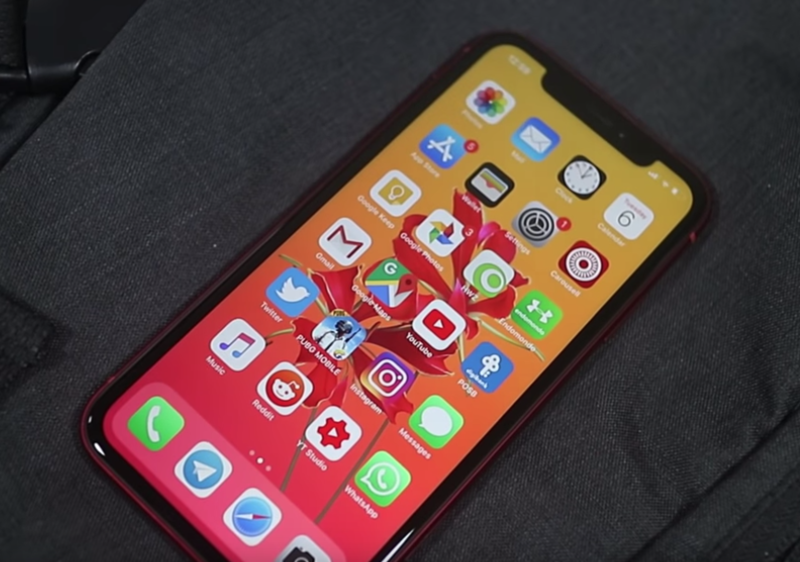 The iPhone XR runs the latest Apple A12 Bionic chipset, which is an absolute beast. While the RAM is still just 3GB like the iPhone X, I’ve not seen any compromises in terms of performance. It probably helps that it has less pixels to push around on this display. iOS 12 also ironed out a lot of the jank I encountered when I tested the iPhone X last year. It handles pretty much anything I throw at it with ease. I actually think it’s a little overkill at this point in time, but it’s nice to have a bit more headroom to ensure the phone will perform well for years to come. The more important metric to me is actually battery life, and the iPhone XR does not disappoint. In my time with it, I can get a day and a half of normal use out of the phone without even trying. My only minor complaint here, is that Apple is still just providing a slower charger, so it can take a while to charge the phone up. But it’s not that big of a deal to me since the battery life is so good to begin with, and if you have a wireless charger, it’s easier to top up the battery throughout the day. There isn’t really much to talk about when it comes to software since it’s pretty much the same as any iPhone without a home button. There are a bunch of other nice additions to iOS 12, like improved notifications behaviour, setting limitations to my phone usage, and a whole bunch of other stuff that you can read about on Apple’s website. The bottom-line is, it’s a very familiar iOS experience. So we’re still not getting a proper file manager, or the ability to choose your own preferred default applications. But it’s still the same well-oiled machine that many have come to enjoy, myself included. With all that out of the way, let’s talk about the camera next. Instead of doing a dual camera setup like the iPhone X, Apple went with a single rear camera. But before you dismiss it, I just want to say that this single rear camera, beats the dual camera on the iPhone X hands down. It’s actually a newer sensor, and Apple has done a lot of improvements on the software side of things. The most important feature is called Smart HDR, which basically allows us to take images with insane dynamic range. The results speaks for themselves. The camera is able to pull a surprising amount of details from darker areas of the scene. While sometimes I feel like the shots can look a little flat, it does provide more flexibility for post processing. I still tend to prefer the more contrasty shots from the Google Pixel most of the time, but this is just my own personal preference. This is where things gets a little more interesting. While the iPhone XR only has a single lens, it still supports Portrait shots. Because it’s using the wider lens from the main camera which also has a wider aperture, I actually prefer the portrait shots taken by the iPhone XR more than I did the iPhone X. It captures more scenery, and it works better in dimmer lighting conditions. The edge detection works relatively well, and it even has the ability to adjust the background blur after the shot. The only limitation is that Portrait mode only works when the camera detects a person in the shot, or something with a face. It’s a bit of a bummer since sometimes I like to use portrait mode to capture non-living things. Let’s move on to the front camera. It is important to note that I am already running iOS 12.1, so no more beauty-gate. I would still prefer a slightly wider lens for the front camera, but I have no complaints about the image quality. When it comes to video recording, the iPhone XR has the best video recording quality I’ve seen on a phone. It has an extended dynamic range feature which works really well, the stabilisation looks good, and it has stereo audio recording as well. It also comes with more frame rate options including 4K 60fps recording, which is still not that common for smartphones. Overall, it’s just a very impressive camera experience. It’s easy to downplay the iPhone XR as being a little too expensive for what it is, and maybe in some ways it is. But after spending some time with it, I think it is a really good phone. It does everything that a flagship phone should do in 2018, and it has very few actual shortcomings. This is where I have to bring in the iPhone XS, because if you want the absolute best that Apple has to offer, and you’re willing to pay a premium for it, the iPhone XS is still the one to go for. But for most other folks, the iPhone XR is already more than good enough. It has a similar user experience to me, it has nicer colour options, the battery life seems to be better, and most importantly I don’t need to sell my kidney for it. If I need to buy a brand new iPhone today, this is the one that I would be looking at. Apple store is retailing from S$1229. We found a good store on Qoo10.sg selling both the Singapore and Hong Kong Dual Sim version.